There’s a good chance you’re reading this article either on a Windows based PC or on a Mac. (If you’re using Linux, keep reading. This will all apply to you as well.) For years, these two computer platforms have dominated the industry. 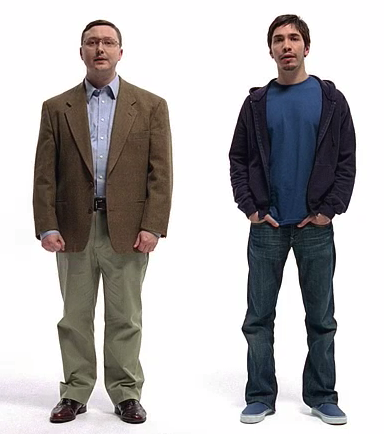 Chances are you’re either a PC user or a Mac user. Rarely do the two overlap. It’s not uncommon to find people who are very passionate about their choice of computer. The kind of passion that leads to friendly rivalry. But after reading this article on Windows 7 and Mac users, I’m no longer convinced that this rivalry is friendly. And it’s a war we shouldn’t be fighting. I’m a PC user. Earlier this year I had the opportunity to buy a new computer. I carefully weighed up my options. I looked at the pros and cons of purchasing a PC or a Mac. And I made my decision. I bought a bright, shiny red PC. It made me happy. When I posted my happy news on Facebook, as one does when one is happy, I received two types of comments. On one side were people asking me questions about the specs of my new computer, sharing in my joy. On the other side were Mac users. Their responses put me on the defensive. I was made to feel like I was sub par human being for purchasing a PC. That I was uncultured, ill-informed, and that I was very, very unwise. It made me feel like I wanted to take my happy news and hide it somewhere that no one could find it. As a PC user, have you ever had a problem with your computer that has caused you frustration and anger? Maybe you were about to finish a massive essay the night before it was due, only to find that a computer malfunction caused your entire work to be deleted? Yeah, it happens. Have you shared this sorrow with friends on Facebook or in real life, only to be met with the reply “It wouldn’t have happened if you had a Mac”? In that moment you’re looking for compassion, for empathy. You’re already down, but then it feels like the Mac user has kicked you in the gut. It’s just not loving. Some people are just so devoted to their Mac or PC that I don’t think they realise the affect their brand loyalty has on people. I have been guilty of making anti Mac statements in the past. When a friends Mac breaks down or has a software problem (yes Mac users, this does happen), I have made statements that haven’t been helpful. That’s not loving. Christians are called to love their neighbour (Mark 12:31). And yes, your neighbour may be a PC or Mac user. If you’re a PC user, you need to love the Mac guy. Same to you Mac guys. I don’t think we realise how big a problem this is. And it’s not just something that is out there. I see it on a daily basis at Bible College. A community of Christian men and women training for Christian ministry. And even here the PC Mac rivalry brings hurt and unlove. This needs to stop. If we have the same attitude to evangelism as we have about our computers, we’re in trouble. If someone is grieving or hurt, do we say to them “Your dead relative wouldn’t be in hell right now if he’d been a Christian”? That comes off as being insensitive and unloving. It’s the attitude that you are right and they are wrong. People are more likely to become a Christian if they are shown God’s love, carefully explained the Scriptures, welcomed in God’s people. This is not how the Mac/PC war is waged. If the same principles of the computer war were used in evangelism, non-Christians would be told that they are stupid and inferior. That Christianity is the perfect way of living and that any other way of living is irrational and foolish. Sure, they may be right, but if it’s not done in love it is harmful and ungodly. Here’s what I’m going to do about it. I’m no longer going to make any disparaging remark about another operating system. I’m going to love the Mac user. I’m going to engage the Mac user in discussion about their computer, asking questions and listening to their replies. I’m not going to put down their computer to make me feel better about mine. And I want you all out there to help me. Keep an eye on me. Rebuke me when I fail in this. Because God calls me to love my neighbour. And I don’t think this PC/Mac divide is helping me do that. Here’s your challenge. Do you need to change your approach to the PC/Mac issue? Have you been guilty of being a PC purist or a Mac Snob? If so, stop now. How are you showing love to your neighbour? Thanks Joel for these helpful thoughts. I’ve definitely been guilty of this many times in the past. And I can see the same thing at college as well. In fact I think this same discussion actually applies at times to the ‘healthy rivalry’ that exists between our two colleges. Sometimes it goes further than it should, and unhelpful things can be said. So thanks for the rebuke. Regarding ‘purists’ and ‘snobs’: I was trying to think of ways to describe the two that wouldn’t let either off the hook. It would be easy and appropriate to switch the tags around interchangeably. Being ambidextrous (or whatever the word is; I mean to say that I use both and appreciate the qualities of both), I reckon advocates of both camps need to lighten up and focus on more important things. you know that either/or question thingy? I’m at that stage where I’m contemplating the purchase of a new laptop for my work, so I guess I’m at the point you were at a few months ago, Joel. My conclusion is that they’re both just a tool to help me get my work done – I really need to assess exactly what my work is; mainly word processing, emailing, facebooking, blogging, a bit of powerpoint stuff and a bit of graphic design stuff. Occasionally some simple video editing. I guess you could use a builder as an illustration – there are different brands of nail guns – some more functional than others, some sexier than others. But they all shoot nails well. Here’s my decision: I’m going for whichever computer can comfortably allow me to do my work, without sending me broke. This is brilliant Joel. I have been thinking about blogging something like this for ages. Can I steal it for my Anglican Media article, if I link back here? Mate, I’d never seen it as such a problem at all – even around College. Admittedly, I’m not the most computer-culture aware guy, and my PC is just an inherited ‘I know how to use it’ kinda decision, and what I could get fairly cheaply when my other one died. I must say I think I have found most digs from Mac users a bit of a laugh and taken little notice, but that may be my lack of time etc investment in the computer thing – perhaps comments made about music etc would be more serious to me! 1. Perhaps we need to put less identity stock in things like brands of computer or style of music etc, and more in Christ. 2. Perhaps at the same time we need to realise that what is low level stuff to us, and that we say without meaning anything by it, can actually be quite serious and hurtful to someone else. And on that last point, perhaps you have diagnosed something that is more of a problem amongst us (at College, in the Christian community, and the wider community in general) than a lot of us realise. It reminds me the war between Interl & AMD several years ago. I think Joel points a problem of some “Foundamental” Christians, who aggressively attach anyone who is not the same sa them, no matter non-belivers, Catholics…etc. We are not God who has authority to judge people. We Christians are the means of Grace to the broken world. If Chriatians attacks people other than us, we just behave as pagans. So no longer an etchosketch eh? Firstly I want to affirm your Mac vs PC issues at college. I have never been so hounded to change to a Mac before. If Macs bring out the functionality I want and its cheaper then I may swap, but until then I stick with the tool that’s best for me at this particular time. Secondly in our household we have a Mac (my wife’s) as well. At times this is very useful for me. But then again sometimes my PC is very useful for my wife. Diversity has it’s benefits too. thanks for raising this issue. At one level I want to say that I’m with Chris, I haven’t had a big concern about the Mac v PC issue at college. I probably see it a little more at my home church where I’m in the minority. Interestingly, despite the digs I still find those in a different camp to be most helpful when I have questions, even though they use a different platform. I can’t help but feel that the intensity and context in which something said is relevant. So even though my friends at church may dig at what I use, I know it is said in fun and they will go out of their way to help me if they can. I’d say the same generally around college. So, I wonder if there is an issue of ensuring we are aware of the bigger context. Agree with you, though, that we must ensure we are sensitive to those who have made different, well informed choices. Nothing wrong with friendly banter, but great care is needed. especially online … when it’s face to face, you can put on a cheesy grin and a friendly banter voice, and the person you’re talking to gets that it’s just friendly banter. but you can’t really express cheesy grins and friendly banter voices with typed out words (apart from a few emoticons), and that’s where what’s intended and friendly banter is so easily misinterpreted as something else. I cut my teeth on a mac and have used them ever since. it reminds me of a discussion i had with the president of the atheist foundation. He claims that people just tend to follow the religions they grew up with, ie most people in the middle east are muslim, most people in the west are “christian” etc. and to some extent he is right, we go with what we know. but there are also the unbiased facts, and when we find the truth we want everyone to know about it, I guess it’s all in how we present it. If i speak to my atheist friends about the truth of the gospel the way i speak some brothers and sisters about my mac vs pc experiences it certainly would not be honouring to God. speak the truth in love. Thanks for your article – I felt the need to add my 2 cents. There is certainly plenty of ‘fan-boy’ behaviour across platforms and its terrible to see Christians engaging in such. On the other hand, when it is done in good spirit it is good to see Australians actually engaging in sensible discussion about things they believe. There should be more of it. I also wanted to add my 5 cents as a proponent of linux and generally open technologies (as opposed to proprietary and closed technologies such as Windows* and MacOSX*). There are different merits and problems with each platform but _choice_ is good – it discourages vendor lock in. You know – proprietary file formats that only certain people can open, proprietary protocols locked to certain platforms etc. In fact, the linux, BSD, etc platforms along with Openoffice/Firefox etc help to ensure that no vendor can lay exclusive claim to your data (files, photos, music,web standards etc). This will ensure your freedom in the long term to own and access what you want rather than being at the mercy of your software provider. Furthermore, outside of the western world, operating systems are expensive. I’ve spent time in Africa running computer networks for African Christians. Sadly, illegal software is rife – they can’t afford the licences and most of the time are unaware of the legalities anyway. If we are to love our Christian brothers overseas we need to promote free and open technologies – both applications and operating systems. We don’t all have to use linux, in fact we probably all shouldn’t, but if, for example, you use open office on win/Mac and take the time to feedback suggestions then you indirectly help out Christians in the 3rd world. The same is true of e-sword, firefox, linux etc. My view is that where you are able to, use open source and open platforms because this will help both you and your neighbours all over the world. Some people will be able help develop and debug, others provide feedback, others will simply encourage developers by using the open alternatives. You get the idea. Sometimes Christians remind me of football clubs, it’s so ridiculous. Agreed. When we take helpful differences and turn them into hurtful divisions, there’s a problem. Great post, though this can definitely apply to more ‘verses’ type of debates. PSP vs DS, Holden VS ford. However it seems that the geeks amongst us are very passionate towards our operating systems, which is werid when you think about it because the majority of the population do not care what they use. FWIW I’m a Mac AND PC and use them both extensively (MacBook Pro and desktop PC), and I also happen to own a DS and a PSP. Call me diverse by all means! Good read. We share a very similar viewpoint and I have an article as well that you can find, it’s apparently “related” to yours, which is how I found this. My article is definitely a little more on the defensive side. I have no problems with macs, I more have a problem with Mac users who find a problem with me actually enjoying using a PC. The Mac culture is what really bothers me, and I hope articles such as yours will break down the apparent war between the two platforms. Anglican (AC) vs Independent (Mac). John: I remember watching those videos at Moore Review. They were fantastic. Hey Joel, I have linked to this page. Let me know if you want me to take it down. Rob.